Nature’s beauty enhances all that it surrounds. 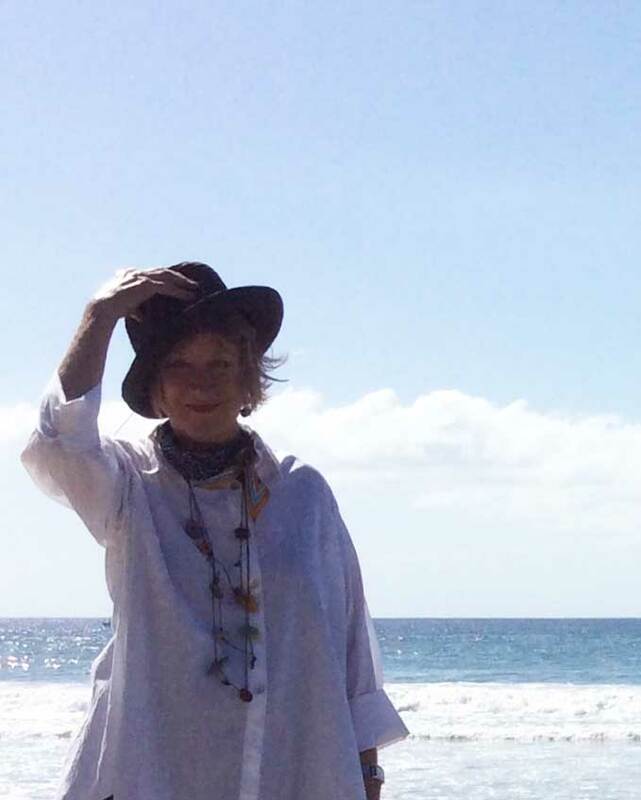 Walks on the beaches of Northern California have inspired my entire line of jewelry. I have been drawn to the inherent beauty of the naturally polished and smoothed stones found there and often refer to them as “jewels”. 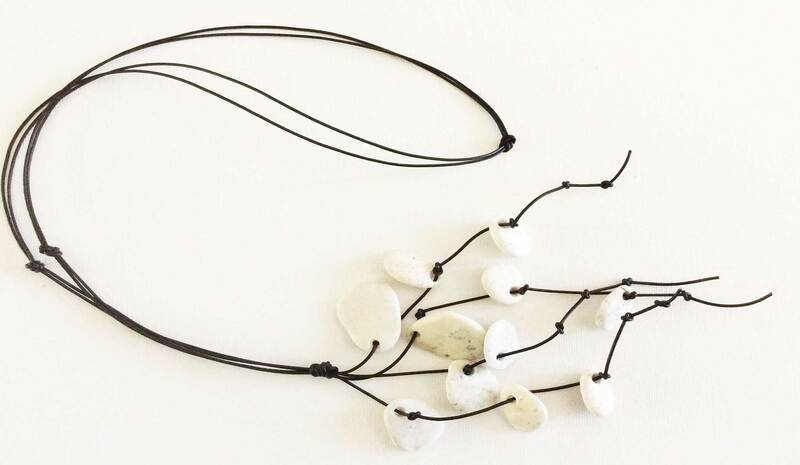 These “jewels of the beach” are already made beautiful by Mother Nature and I add the final touches. 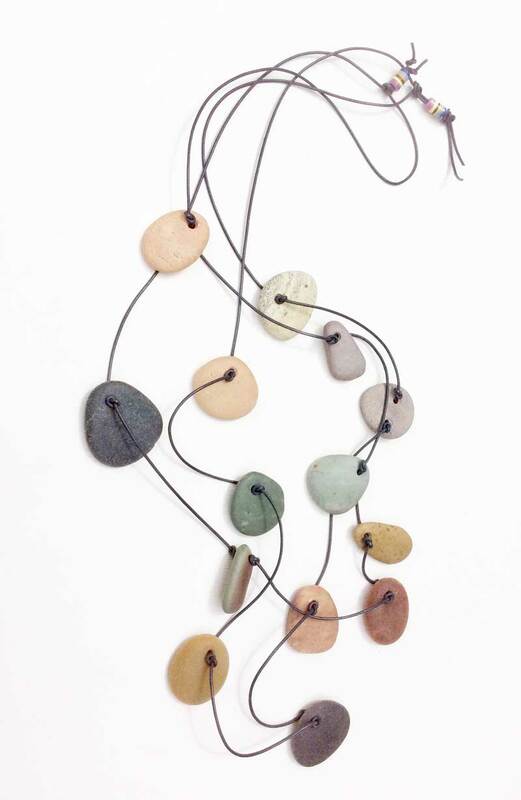 The elements of art, namely, color, line, pattern, texture and form guide my creations. 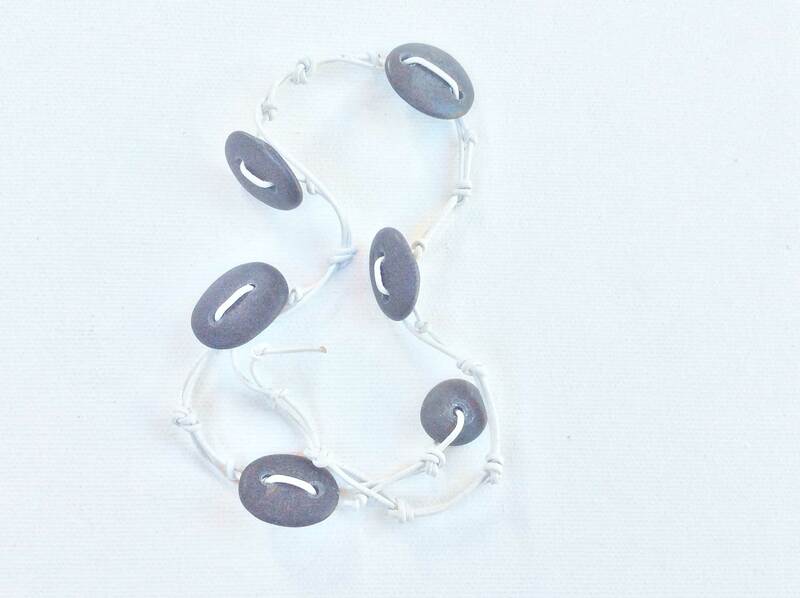 After collecting, I drill the stones and combine them with either leather, faux leather, sterling silver, or fine silver. 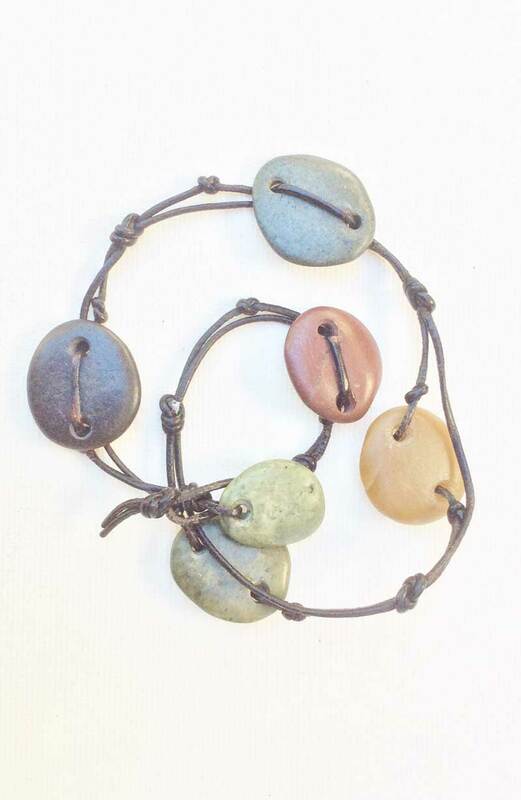 I believe each stone has a “story” and each stone speaks to me. 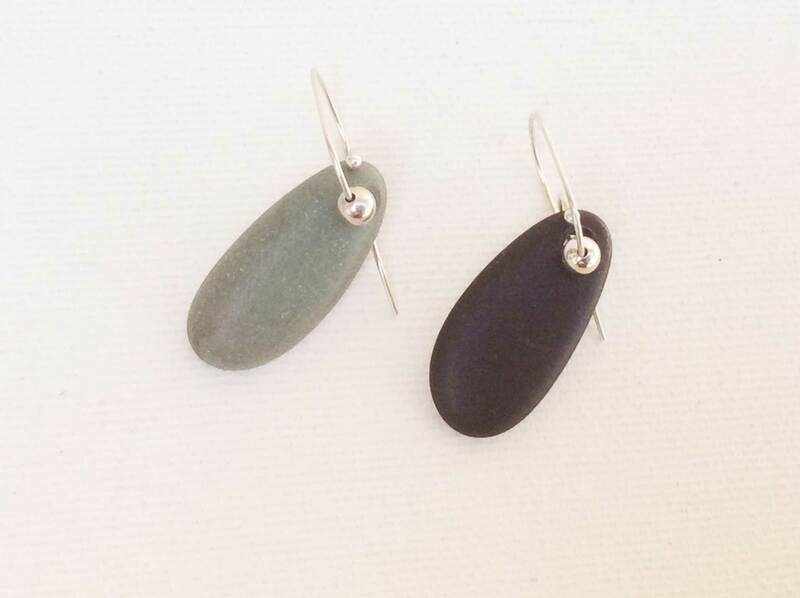 Each pair of earrings is unique and reflects the natural beauty of the beach stones which Kristine hand harvests. 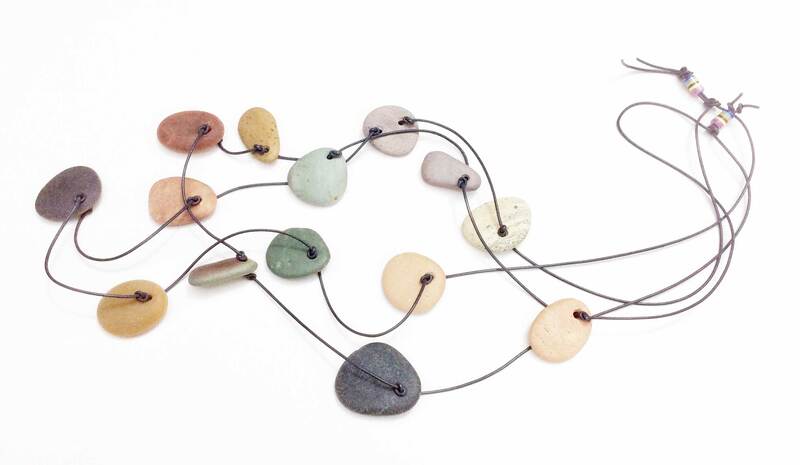 Each Beach Stone Necklace is comprised of natural stones in similar size, texture and hue. 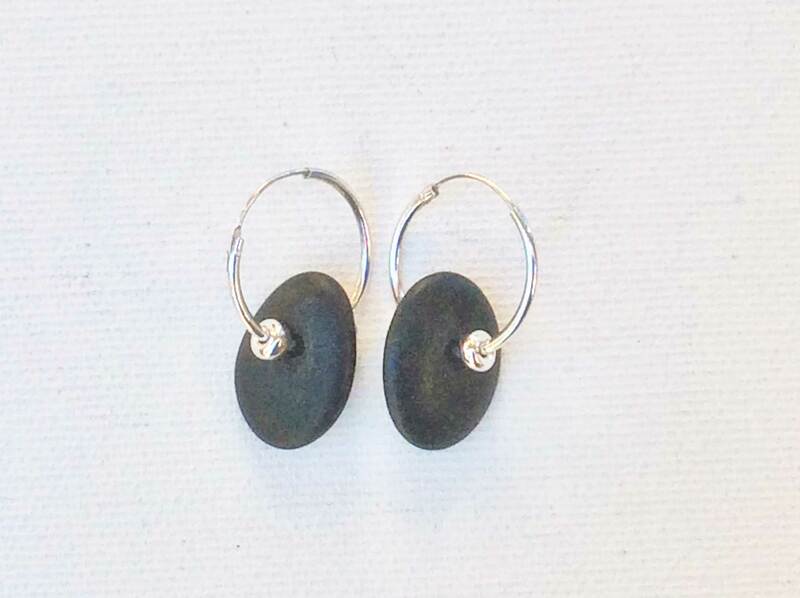 All stones are hand harvested. 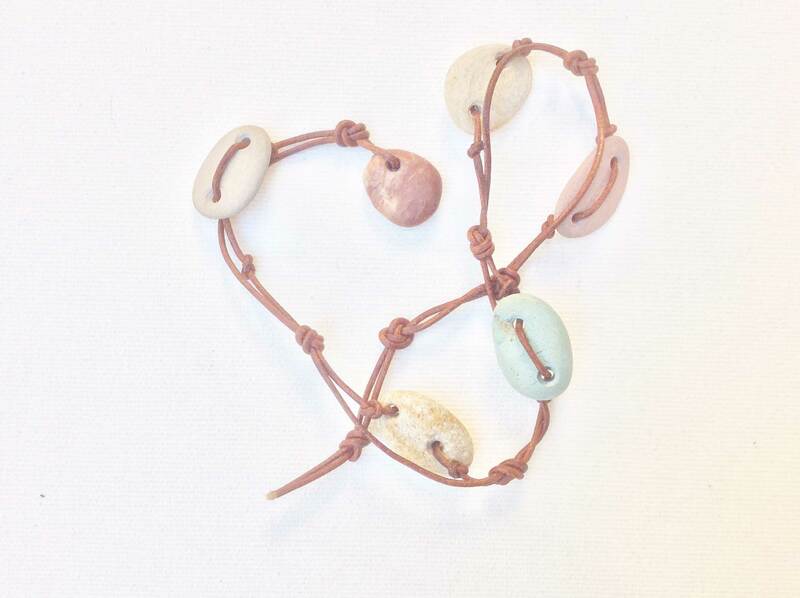 Each Beach Stone double wrap Bracelet is unique and reflects the natural beauty of the hand harvested stones. 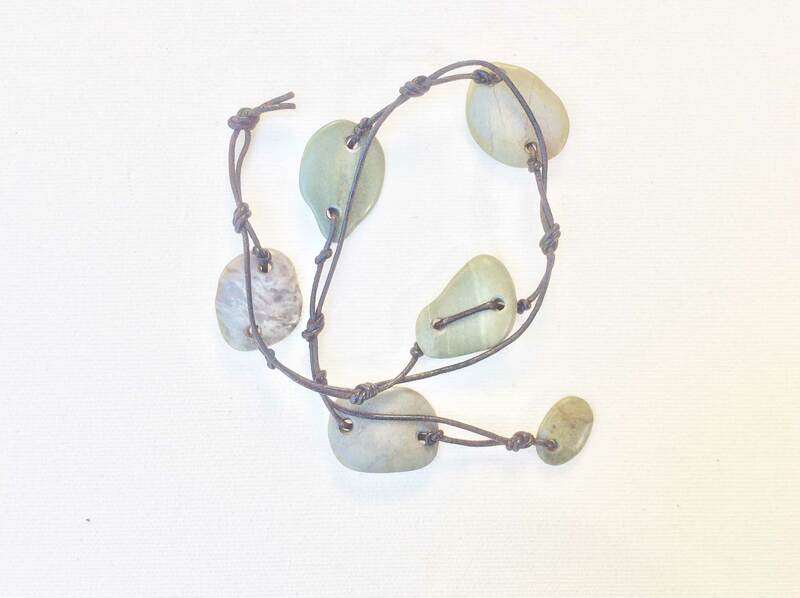 Kristine Moss gathers wave polished beach stones from Northern California’s rugged shoreline. 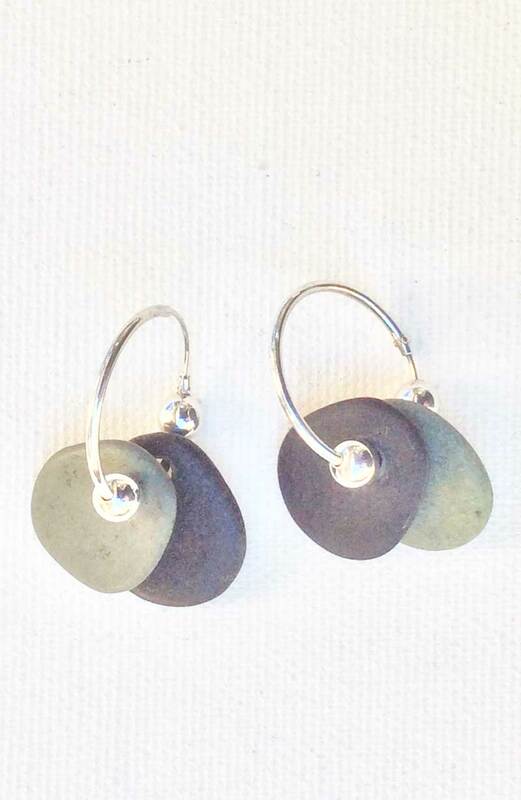 She then creates one-of-a-kind pieces of jewelry using the unique characteristics of each stone. 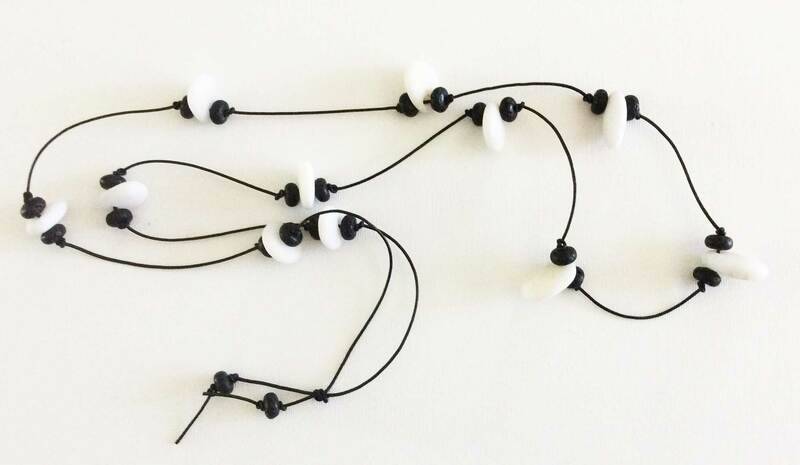 Her jewelry will enhance all that it surrounds. 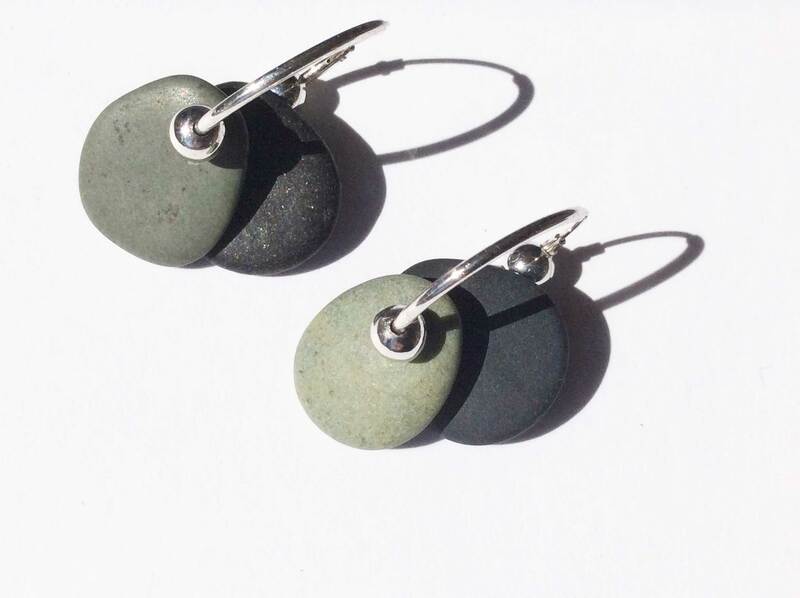 An art degree, a career teaching art, an appreciation of the beauty found in stones, and a love of combing beaches gathering stones has led Kristine Moss to designing beach stone jewelry. 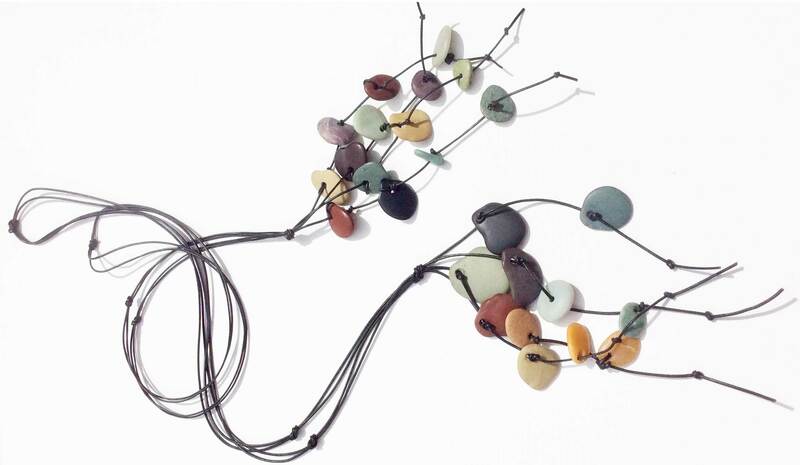 Her creations combine these stones with other elements to highlight their natural beauty. 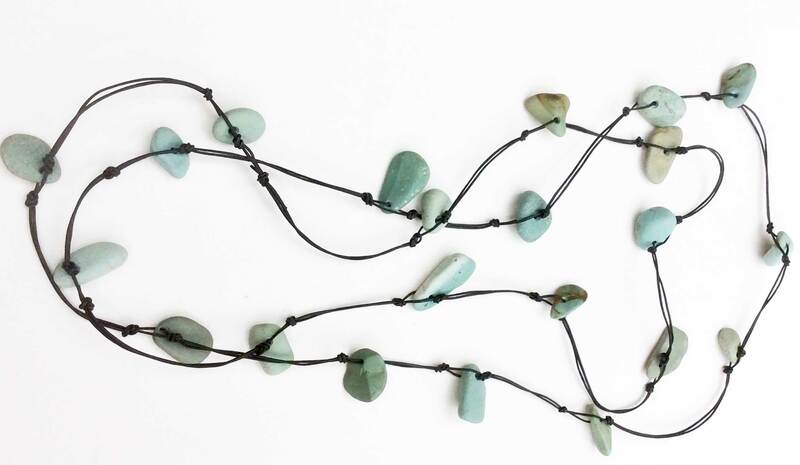 Find Kristine’s jewelry in the following shops and galleries. 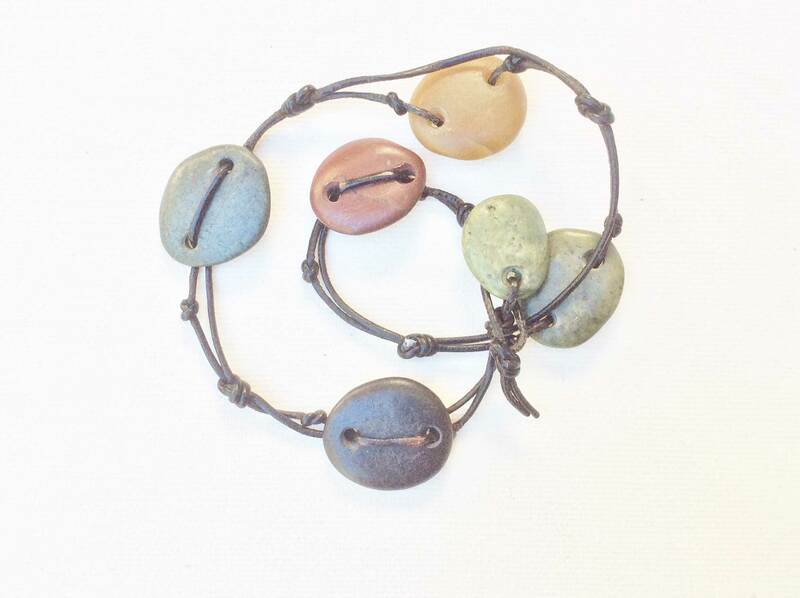 If you are interested in stocking Moss Gathers Stones Jewelry in your shop or gallery please contact us. 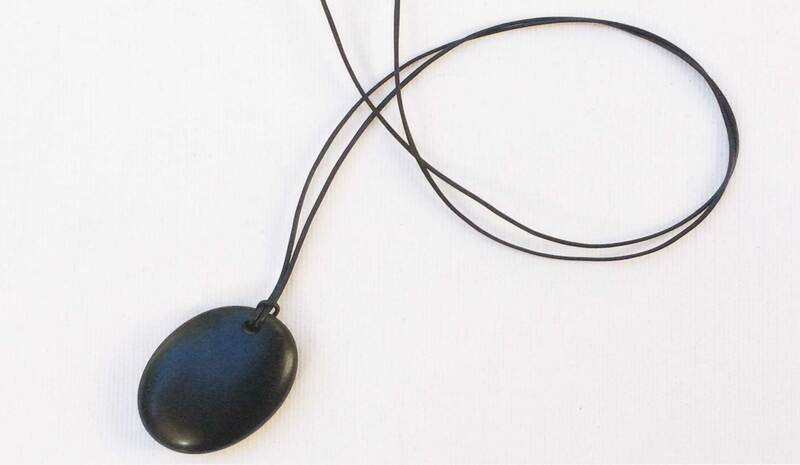 Would you like to stock Moss Gathers Stones Jewelry or place an order? 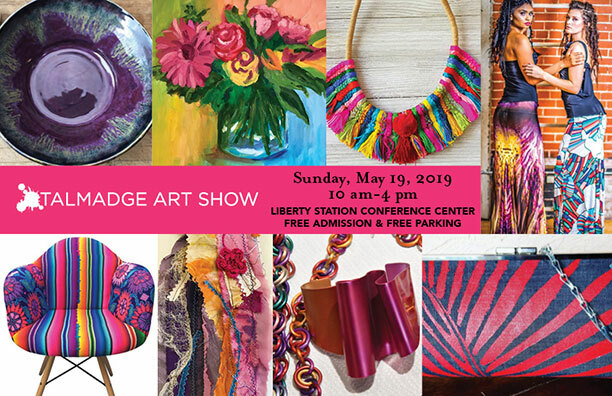 Learn About New Jewelry Lines and Shows!